Strategy games usually focus on the front lines of a conflict, and gamers will have long discussion when the rollout of a new anti-tank gun happend and in what numbers, and if the upgrade of this or that unit is justified as per OB or should happen earlier – or not at all. Logistics, the art that does indeed decide wars, and which usually takes up 90% of a commanders time, is usually abstracted, since until the advent of computer games the process of raising, training, equipping and organising forces was too tedious to be converted into a playable game. Yet another aspect sometimes cripples consims: The hindsight that enables players to approach a situation with much more information than available to their historical counterparts. Hindsight defines a lot of the strategies employed in most Europa games, and only its most egregious problems can be corrected by artificially straightjacking the player into historical behaviour by victory point mechanisms or outright enforcement by rules (garrisons, no-retreat-rules, Plan XVII, etc). Which brings us to the Asturian Gambit, a series of opening moves during the beginning of the Spanish Civil War in For Whom the Bell Tolls. 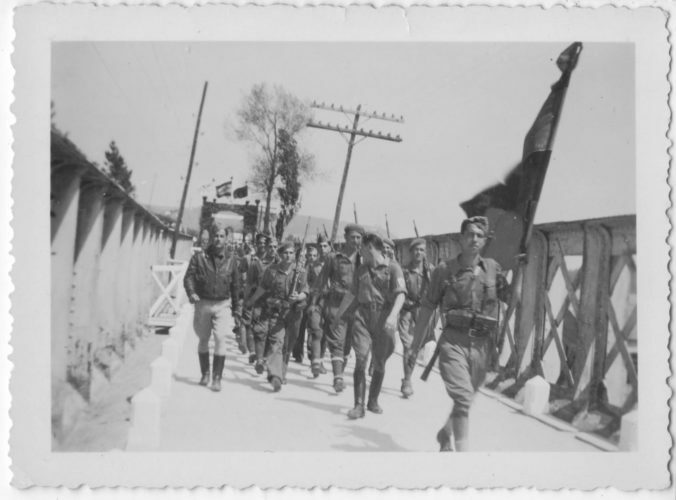 In hindsight it was obvious that the balance of forces and the deep-set enmity between the two political movements precluded a quick end to the conflict that broke out in July 1936. Hindsight enables the nationalist player to play the long game and secure an andvantageous position from which to better prepare for a conflict that will span several years. A reasonable, game-changing, and completely ahistorical strategy. Carlos Perez lays out the Asturian Gambit and its implications for you in the last article for now that Carlos gratiously allowed us to publish and which first went online at his website belliludi.com. The Asturian Gambit of course runs contrary to all strategic assesments and convictions in the chaotic summer of 1936, where possession of Spains capital was seen as key to a quick and desicive victory by all parties. 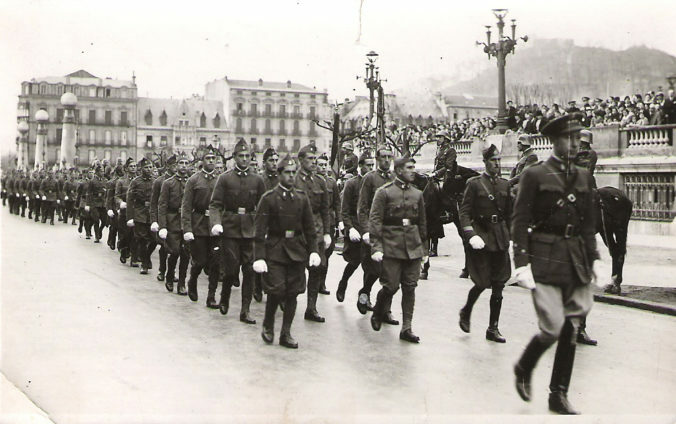 A possible fix would have to take the political value that Madrid held at the beginning of the war into account, forcing the nationalists to devote their assets to a serious attempt to take the capital as soon as possible for an extended amount of time. One possibility would be a rule prohibiting units of the Army of Africa to move north of hexrow 25xx as long as the weather is clear, and to require all units of the Army of Africa to attack in the direction of Madrid as long as they are in general supply. This could be combined with a modification surrender rule, requiring a roll for surrender for the side that just lost possession of Madrid, while giving them a strong modifier in 1936 and a smaller one in 1937. Together, these rules would reflect the prevalent belief that whoever held the capital would decide the conflict early on, and also simulate the political reality that any general on the nationalist side not pursuing a quick victory over the republic would have lost his position from where to make such strategic choices really fast. However, as with all rule modifications, these ideas would have to be playtested and evaluated before being made a recommended rules modification. This corrected OB is the result of historical research by its Author, Carlos Perez, as well as an imbalance in FWtBT as published, wehre the nothern goubernitos are vulnerable to the “Asturian Gambit”, in which the Insurgent Player, guided by the hindsight knowledge that the Loyalist Forces have limited mobility and capabilities in the first turns of the game, tries to knock out the northern goubernitos before they finish mobilisation. In the confused and chaotic first weeks of the Insurgency such a strategy would have bordered on the lunatic, since all sides were squarely concentrated on taking or holding Madrid as the center of political power. While this making sense in terms of a struggle both players know will most likely take years to resolve, and legal according to the rules, it is nevertheless a strategy not available to the historical actors. Should these OB variations not resolve the issue, a Grest War “Plan XVII”-rule should be considered.